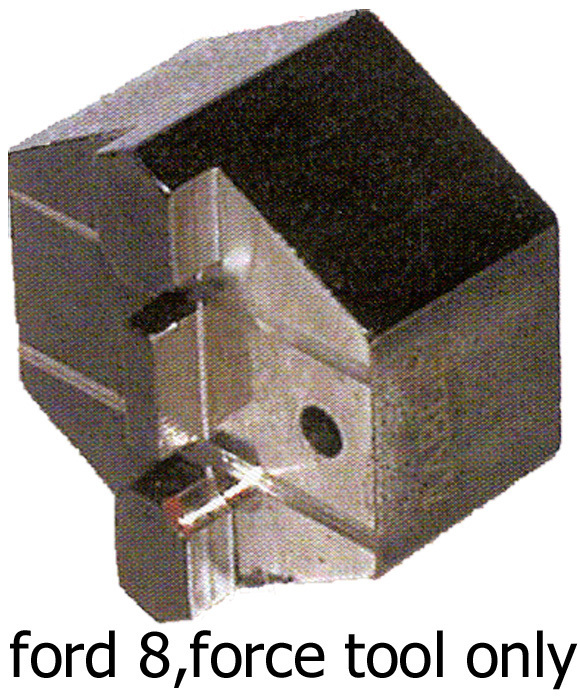 With the Aable "Ford 8 wafer Force Tool," you can force Ignition to the "ON Position," without drilling, in less than 60 seconds. 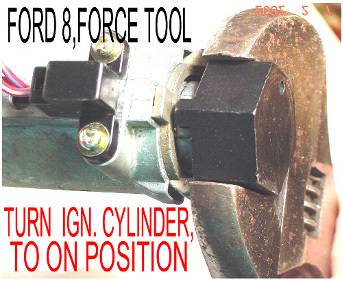 This shears the sidebar, and requires that the ignition be replaced. It will not destroy the wafers. Decode wafers to make a door & trunk key. Works on all Ford 8 wafer ignitions, also. (Nissan Quest & Villager) This tool is included in the removal kit, above.